This generation’s great JRPG’s have really fallen under the radar, especially games like Xenoblade Chronicles for the Wii, Persona 4 Golden for the PS Vita and Rogue Galaxy for the PS2 and for the 3DS alone, there have been some great titles released over the past year with the likes of Fire Emblem: Awakening and Pokémon X and Y. Bravely Default is another great RPG, making the 3DS stand out even more. Players are put in the shoes of Tiz, who is seeking answers to what apparently led to the random destruction of his homeland. During his journey, he meets and helps the Wind Vestal Agnes who finds the Wind Crystal consumed in darkness; a mysterious vagrant named Ringabel with no memory of his past; and Edea Lee who is sent on a mission to protect the world from a great evil. Searching for giant elemental crystals may seem like your typical Final Fantasy plot, but once you get through its rough edges, you end up with quite an epic story. Using turn-based combat and multi-hit combination moves like you would see in a classic RPGs like Dragon Quest or Final Fantasy, you have your standard command bar. Attacking comes in two forms: Brave and Default. You can attack up to four times by using Brave. Default is an op tion which allows you to store battle points for later, allowing characters to land more strikes in a single turn when reverting back to Brave. 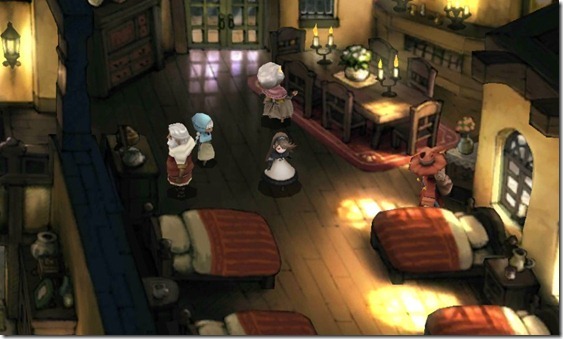 The game also features a class system that allows players switch back and forth through titles, so your party can have classes such as Knight, Black Mage, White Mage, and Merchant. The more you level up, the higher level your job class gets for each of your party members, giving players a better fighting chance in battles. You can change the settings back and forth for the voice acting to be in either English or Japanese; however, both versions are impressive to listen to when it comes to storytelling. 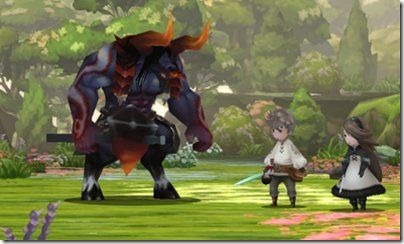 I will not spoil the whole story for this but when it comes to unique features, Bravely Default throws StreetPass and 3DS friends into the fray and allows players to summon various heroes of these allies into battle. Players having a tough time can even borrow abilities that friends might have on their game data that you probably won’t have in yours, but these abilities can only be used once until you StreetPass them again. This gives the game quite a social aspect especially if you have friends playing that really add to the experience, making it much more enjoyable to play. 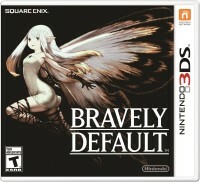 Bravely Default is simply beautiful on the 3DS. From its landscape environments to its stunning character art–everything about it can easily draw you in for hours. Its arresting hand-painted backdrops blend with detail and scintillating colour, from the bold shades of a colourful village to the verdant beauty of a rustic hamlet setting. The soundtrack plays a huge part too with catchy battle music and strident themes with quieter, mournful pieces to accompany the more tragic moments later in the game. The game also has plenty of sidequests that can be done at any time, lengthening in the game and giving players a lot more to do in this roughly 40-hour epic tale. The one issue players may experience in the game is that the plot takes a bit long to get interesting, especially considering the fact that the game requirese quite a bit of grinding, but that’s something usually expected in a game like this. 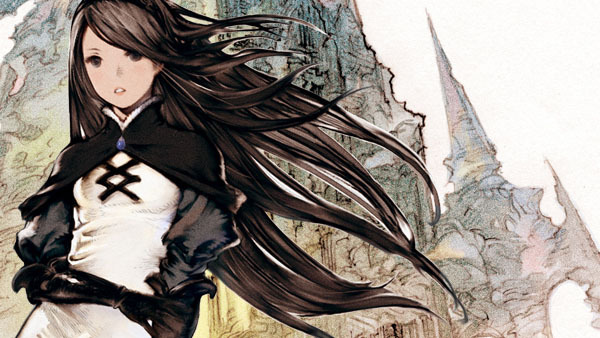 Some people think Square Enix screwed up Final Fantasy as of late, but Bravely Default‘s mix of classic Final Fantasy-style gameplay with quite a defined style and likable characters will likely make players come back for more. The game was purchased by the reviewer, based in the UK, who spent over 40 hours with it, finishing the main campaign and sidequests before starting the review.